Founded in 2008, Paw Paw Pet Care is a locally owned and independently operated small business proud to serve the neighborhoods of Ft. Greene and Clinton Hill in Brooklyn, New York. We pride ourselves on our competitive rates and professional, reliable service. We are Licensed, Bonded and Insured members of Pet Sitters International. Paw Paw is co-owned by Melissa Martin and Adam Dougherty. We know that when you cannot be with your pet because of work, vacation or other obligations, you want them to have the same love and attention that you give them. That is why at Paw Paw your pet becomes our family member. Paw Paw Pet Care's dog walkers and cat sitters are the best in business. We believe in tailoring each walk and visit to meet your pet's needs and are driven by the values of kindness, dependability and honesty. As part of our goal to deliver you the best and most reliable experience possible, each service is tracked in our on-line scheduling and customer service tool. You can easily and efficiently request services online or on your phone, check the completion status of your recent appointments, review your invoices and make payments, all in one place. Contact us today to set-up your free meet and greet. We would be honored to care for your pet! If you feel your pup only needs enough time to get some fresh air and relief, we have a great option available. With our 15-minute dog walk, we take your lovable creature on a short walk to stretch its legs and relieve themselves. Please note that this price is for 3 or more walks per week, our price is $16 for 2 or less 15-minutes walks per week. Our 30-minute dog walk is fun and paced to provide exercise tailored to your dog's needs. Of course, it include potty time and belly rubs. It is perfect for dogs with a medium energy level. Please note that this price is for 3 or more walks per week, our price is $20 for 2 or less 30-minutes walks per week. A 45-minute walk is a great source of exercise for your furry friend and is sure to send it home tired and happy. In addition they will have plenty of time to take care of all of their business. Please note that this price is for 3 or more walks per week, our price is $23 for 2 or less 45-minutes walks per week. We would be honored to care for your cat! Each kitty is treated as an individual and receives care based on its own unique personality. Our visits include feeding, cleaning the litter box, playtime, brushing, love and attention. We are also happy to bring in your mail and water your plants. There is no fee if you cancel a service or request a time change by midnight the day before the scheduled service. Any same day request or cancellations will be charged a $7 fee. Additional dogs must be from the same household, if so, we are happy to walk them for just an addition $7. We understand that some dogs have special needs and require a solo walk. We are happy to provide a fun private walk so your pup can do its business. This charge will not apply if your dog is a current client who needs short term solo walks while recovering from an injury or a surgery. "We have been using Paw Paw since October of last year, and have nothing but positive things to say about them. Extremely reliable and professional, always quick with confirmations of walks and with billing. We've also used them for watching our dog over the weekend and that was also a great experience. The walkers have all been friendly and leave a note each day with details on the day's walk. Use them!" "I cannot say enough good things about Paw Paw Dog Walking. I moved to Brooklyn in June 2015, and I was really worried about finding a reliable service for my dog, Finley. He's an older rescue beagle who is really sweet and still needs a lot of exercise. I was really impressed with our initial meeting and immediately hired them. Felix has been walking Fin five days a week for a year and I never worry about him. I know Fin is well cared for and getting enough attention, exercise (and treats!) to hold him over until I get home from work. They have been really accommodating and communicative. Highly recommend!" "I have nothing but amazing things to say about Adam, Melissa and their dog walkers. My Cleo has a blast with them and their prices are extremely competitive making my husband and I equally as happy as Cleo. Importantly, they are good at following your specific needs - yes I like my dogs paws wiped after walking on the dirty BK streets - and they leave great notes so that I know what 'business' my dog did on her walks so I know what is left for her to do before bed. I highly recommend Paw Paw!" "I really love my cats. For many years, Paw Paw took care of our two cats while we were out of town. Adam is one of those people that cats respond too... and Paw Paw has excellent communication with humans too by always confirming visitations, price (great value), texting photos and leaving a note. Most importantly, we could not have gotten through the past 6 months without Paw Paw, when both our cats got cancer, requiring extra visits for medication and feeding. Paw Paw did a wonderful job of caring for our human-animal family." "I recommend Paw Paw pet care very very highly. Melissa, Adam and their staff have cared for my cats for years. I travel a lot, and it is so reassuring to see the love and attention my cats receive under their care. One of my cats, now sadly passed away, had health issues and Melissa kept me calm when I had to travel, because she observed her closely and noticed any changes. Everyone who works with Paw Paw is extremely professional and loves animals. I frequently get emails or texts with cute photos of my cat while I travel updating me on how she is doing, at the end of each visit I find a meticulously detailed record of each visit, the cat's diet, litter box use, etc. I really cannot speak highly enough of them, I think they are amazing! Their prices are reasonable, and they are always quick to respond and reliable." 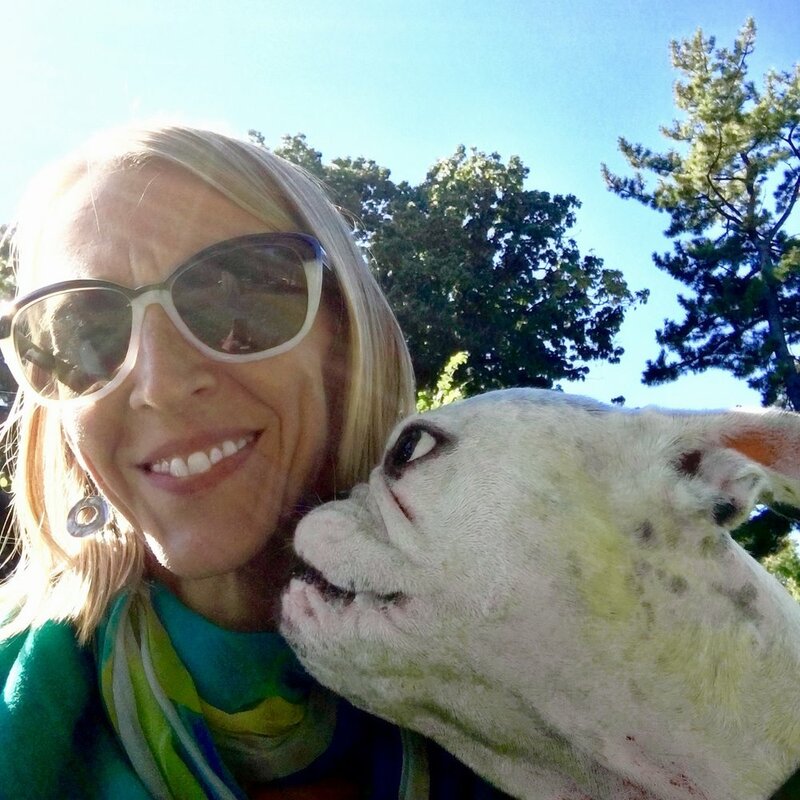 Melissa is the co-owner and founder of Paw Paw Pet Care. Melissa is CPR and First Aid Certified for dogs and cats through the ASPCA. She received her Masters in Fine Art from Hunter College. Adam is the co-owner of Paw Paw Pet Care. He has lived in Clinton Hill, Brooklyn since 1995, is a graduate of Pratt Institute and holds a Masters of Fine Art. His artwork is featured on this website. Kora is a graduate of FIT where she received a Bachelor's Degree in Illustration. She maintains a studio practice when she is not walking dogs. Kora has been an employee of Paw Paw's since 2014. Xavier is a member of the U.S. National Guard who is pursuing a degree in physics from City College of New York. He joined Paw Paw at the beginning of 2017 with 2 years of dog walking experience. All of our Employees are insured with both Liability and Workers Compensation so that you, your pet and your home are fully protected. We are one of the most experienced dog walking and cat sitting providers in Brooklyn and would be honored to work with you.